Nowali moccasins and Konfetti moccasins provide comfort and warmth through a unique design that combines socks and shoes into slippers that stay on. Even babies as young as three months can wear Nowali USA's kids’ moccasins shoes, and many toddlers have taken their first tentative steps in a pair of Nowali kids’ mukluks. In addition to kids’ moccasins, we offer a line of Swedish moccasins for adults, ensuring that virtually everyone can enjoy the comfort and quality that these slippers provide. We also offer a line of slipper socks for youngsters from six months up to five years, depending on pattern. 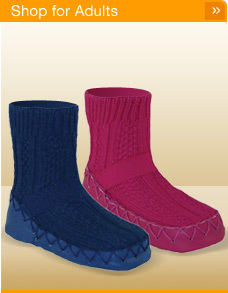 Slipper socks feature non-slip soles for better footing on wet smooth or polished surfaces. 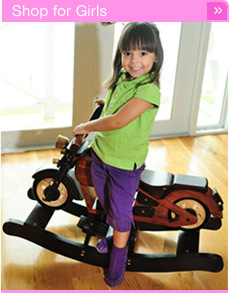 Shoppers can also find socks and tights for children, with some styles available in newborn sizes. Since 1950, Nowali has manufactured comfortable, quality moccasins, for children and then for adults. By 1960, the company had become Sweden's largest moccasin manufacturer. As part of the company's commitment to quality, moccasins are made from only yarns that are free from any potentially toxic dyes or chemicals. Generations of loyal customers know that Nowali is a name they can trust for their indoor footwear.